For most F1 drivers, the winter break is a time to have a bit of a holiday or double down with their fitness regime. Verstappen is likely doing both of those things, but he’s also keeping his skills sharp by getting properly stuck into sim racing. 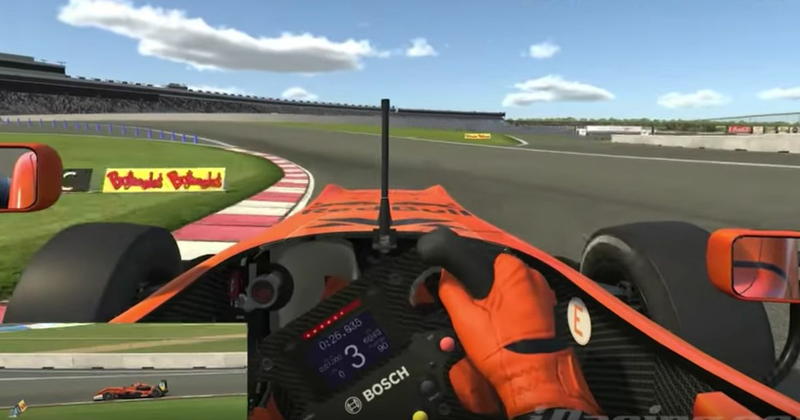 He recently set a Formula 3 world record around Charlotte Motor Speedway’s ‘Roval’ on iRacing and watching his lap from onboard, you can kinda see why. The levels of speed and accuracy are simply breathtaking, using all of the track and more (which is allowed, before anyone moans about track limits). For reference, his time of 1:04.436 is almost 12.5 seconds faster than the real-life Nascar Cup Series pole time from last year.